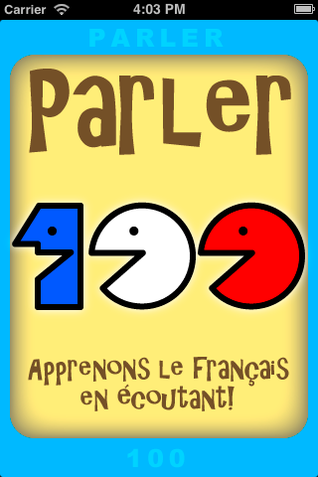 Parler 100: a casual approach to French. 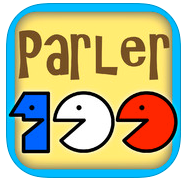 Parler 100 gives you the opportunity to get started with the French language in a rather casual way. 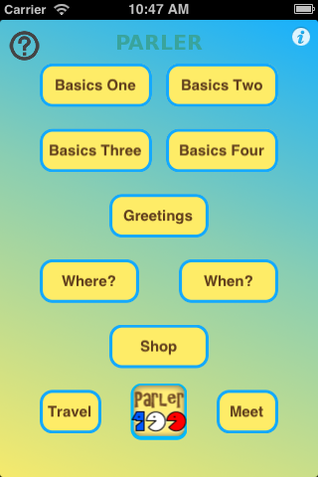 It presents one hundred sentences that can mostly be used in daily life. While not getting involved into grammar considerations, it gives you some basics of fundamental verbs conjugation without even mentioning it. 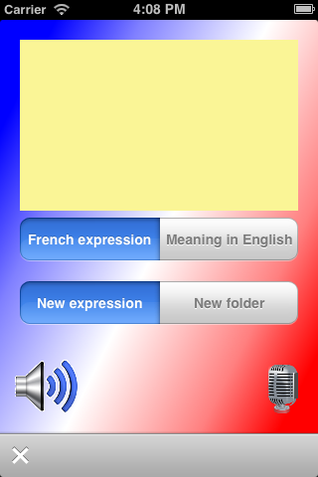 And more important you get the voice recording of the contents by a native speaker, which lets you progressively familiarize yourself with the sounds of the language. Finally, when you feel the need for more advanced contents or other sentences that are not provided from start. 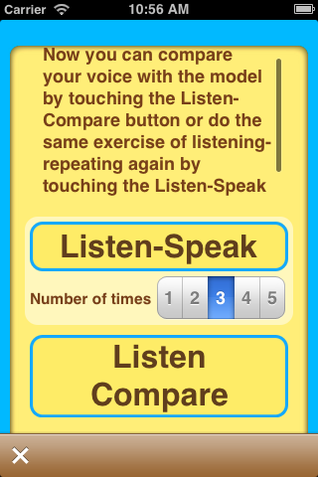 You can add your own, learned from a teacher or any other source and have it recorded. 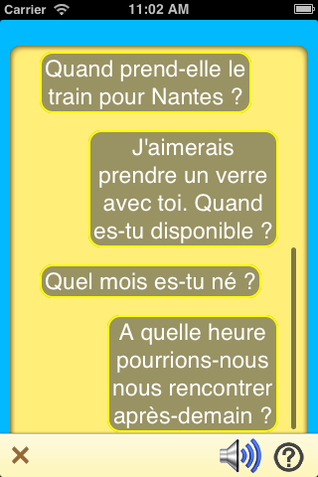 The following screenshots are based on version 1.5 of the application. 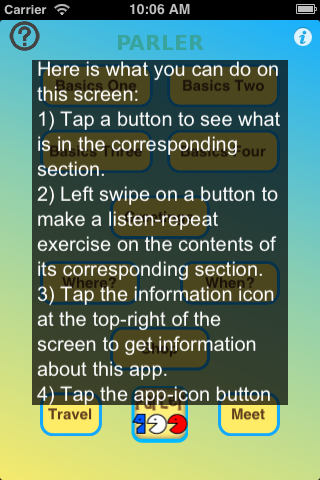 You can click the icon on the left, to go to the appStore in order to download the app. 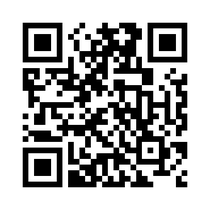 You can also take a picture of this QR code using a QR code reader app with your iPhone in order to find Parler 100 on the appStore. 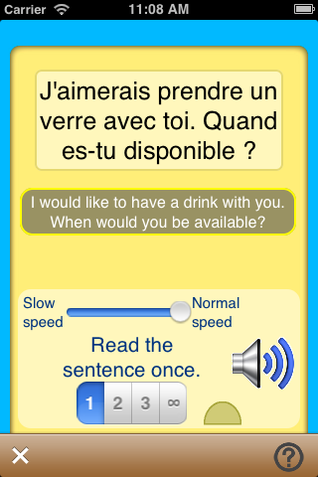 Take a look here for other language learning applications.